Crossovers have replaced big hatchbacks and estates as the default car for many family buyers. It's easy to see why, due to the extra practicality and raised seats which make it easy to get children in and out. With so many on the market, it's hard to know which are the best. These are the 10 top performers in the 2017 Honest John Satisfaction Survey. 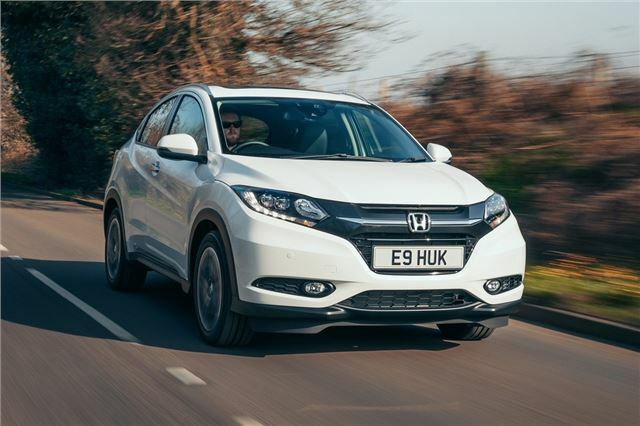 We have been very impressed with the all round ability of the new HR-V and it seems owners are similarly enthused. Practicality scored very highly and owners like the way it handles, the performance on offer and the fact it's easy to drive. Capping all of this are low running costs. The only point where owners are slightly less than enthusiastic about the HR-V is its ride comfort, which they feel is not quite as good as it could be. As a CX-3 owner I am not surprised that it scored poorly on practicality. The interior layout is an ergonomic disaster and the lack of space will not appeal to families, but space is not a major consideration for me as I rarely carry more than one passenger. Good points include a smooth powerful 2.0 litre normally aspirated petrol engine returning 43-44 mpg, a proper torque converter automatic transmission and a proper handbrake. Apart from a leaking aircon condenser replaced under warranty (a common fault) the car has been 100% reliable so far. Bad points include a rather too firm ride and relentless road noise from the Bridgestone Turanza tyres, even with the smaller 16 inch wheels. The Bridgestones will be replaced by Michelin Cross Climates in due course, as recommended by HJ. This list of Crossovers includes a Mini which to me looks like a small estate car, yet it does not seem to major on 4x4s - which would seem to be a key feature of vehicles that crossover between being "normal road" cars and "off-roaders". Car manufacturers may not be doing themselves favours by making the (apparent) variety of vehicles so confusing that you are never really sure what you are looking at! What is a crossover? Neither one thing or another. I bet they're all deadly diesels as well. Amazing what some people will buy. If the membership of the Mazdz CX-3 Forum is representative of owners, the vast majority of CX-3's are petrol, including my own, as my original comments made clear. well something that will do 60MPG for a start.